Am I totally psychotic if it drives me nuts that Cheez-its is spelled with a Z? Did you know that the best combination in the world (okay…maybe “the world” is a bit of an exaggeration) is Cheez-Its and Diet Coke? The Cheez-Its are best if they are on the extra brown side, and the Diet Coke is best out of a can. Trust me on this one. But let’s not talk about health-factors here, please. When I got my assignment for the Secret Recipe Club (SRC) this month, I was thrilled because I love Erin’s site: Dinners Dishes and Desserts. As always, I had a difficult time choosing a recipe–she had so many great ones to choose from! I’ve yet to be disappointed with a recipe from the SRC–they are always great. However, when I saw her recipe for homemade Goldfish crackers, I knew I had a winner. And it wasn’t only because I had all the ingredients in the house. Although…that was a major factor in my decision. Continuing with the theme of laziness, I didn’t feel like messing with a homemade goldfish cracker-cutter like she did, but I did have a new pastry wheel that I was itching to try out. So I made Cheez-Its. Or Cheese-its, if you will. Sorry! I gave in to the psychotic-ness. I also added a bit of ground mustard just to deepen the flavor a bit–you can’t really taste it but I think it adds a little something. 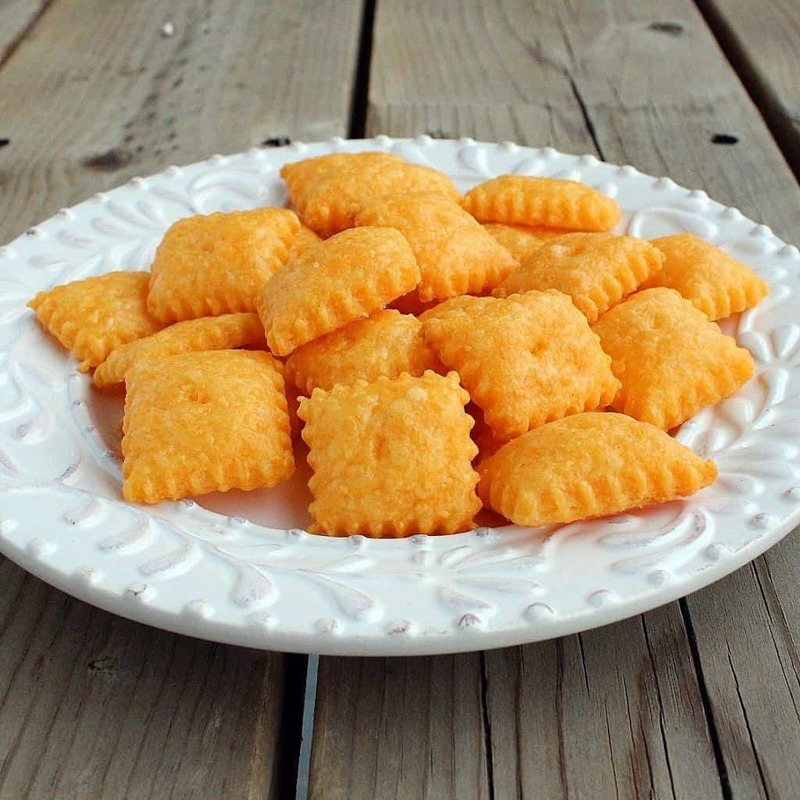 Homemade Cheez-Its are much easier to make than you might think. In a food processor, pulse everything except water together until it looks like course crumbs. Roll out dough (quite thin–I think mine would have been slightly better had they been a bit thinner) and cut into squares. Use a toothpick, or the end of a scissors (I had to improvise, the toothpick wasn’t making a big enough hole for my liking) to poke a hole in the middle of each cracker. Place crackers on lined baking sheet (I used Silpat and parchment paper–both were fine). You can place them fairly close together, as they do not really expand. Bake for 13-15 minutes or until crispy. Mine could have gone a bit longer–they aren’t quite like the crackers you buy in the store. *note: I used my food processor shredder blade to shred an 8 ounce blade of cheese. It takes about two seconds…and since I was already getting the food processor dirty, it was a no-brainer. Verdict: I especially loved these hot out of the oven, although they do keep quite well in an air-tight container. Great cheddar flavor! Husband’s take: He liked them, but didn’t chow down. Changes I would make: None are necessary but these are a great starting point for tons of fun variations. My wheels were spinning as I was making them of additions and changes I could make. Difficulty: So, so, so easy! tender. Having a hard time not eating them all. So glad you’re enjoying them! Thanks for taking the time to leave a comment! Love the addition of a little spice! By the way, that is not a hole in Cheez-Its. If you look at the real ones, they use the other side of a pin to push the middle together. They are not little pillows. Try using any tool that has a small broad head and push just hard enough to seal it together. As I remember from seeing my ex-wife’s knitting gear, she had some blunt tipped needles that would do the trick. Happy creating all! Just made them today. Myself, 5 children and husband all loved them. Ive been interested in making my own copycats lately and this one definitely peaked my interest. My 3 yr old girl will only eat the white mozzarella flavored…..I didnt want to try mozzarella just yet….so I used extra sharp white cheddar, added the suggested dry mustard, and also I added smoked paprika! (that flavor is sooo much tastier than regular paprika). She ate them even though the paprika ended up making them yellow anyway. is next time I will make sure to roll the dough out really thin (almost to be able see thru it), so they will be crispy. I rolled the dough out on my silicone mat, flipped it over onto some parchment paper, put it on my cookie sheet (with no sides) and cut it with my wavy cutter on the cookie sheet. I used the cutter to push and separate each row. That made it way easier, as to not have to individually transfer each cracker to the cookie sheet. Cant wait to try more variations, thanks so much!! I just made these for a friend as a Christmas present…i had to try one, and then another…really yummy. The scraps of dough are being cooked for our consumption…quick question: i was going to put these in a zip-lock bag once cooled…can these be out or do they have to be refrigerated? I’m going to be giving them to her in two days. If they last that long. I’d toss them in the fridge just to be on the safe side. She could always put them in the oven for just a couple of minutes to crisp them back up if they get soft. I loved those Swiss Cheese Crackers that Nabisco makes, but only sell in Canada now. I have look all over for them, but the shipping costs are ridiculous so I have been living without my favorite crackers. I tried the recipe, but substituted Swiss cheese…TO DIE FOR! My life is complete again! I’m so glad you liked them! You’ve inspired me to try them with Swiss cheese! I made these the other day. I put the dough through my pasta attachment, so they would not be so thick. Is there anyway to dry them out just a little more? I am at 3000 elv. do I need to cook them longer they are still turning a little brown with the recommended temp. and cooking time. Very good though. I also make them with Pepper Jack cheese. Thanks! Unfortunately I don’t know much about high elevation cooking. Great idea to use the pasta attachment! Any chance you could remake this gluten-free?? My 2 year old is celiac and would LOVE these crackers. Please include a “print” button and printable version. Thanks. I’ve made this recipe a bunch of times now.. I love it, and thought I would share what I’ve changed. I usually make half this recipe, I removed the mustard, add 1/4 tsp of cayenne and 3 strips of bacon (cooked) to the food processor. Also, before I put them into the oven I lightly sprinkle the pan with a pinch of salt. I convection bake it for 20-25 minutes. I don’t like them to come out chewy at all. Thanks hope someone will try it with this twist. I agree about the salt on the cut crackers. The bacon sounds interesting, but Rachel was going for authentic homemade Cheez-Its. You could also add ham instead of bacon for a different flavor, but meats baked into crackers seldom do well together. A cooked piece of bacon and a small slice of cheddar on top of the finished crackers sounds delicious and would make a wonderful appetizer. This is the same recipe my mother used over 50 years ago (minus the mustard and water). She wrapped this cheese mixture around spanish olives. Baked as usual and served to guests hot from the oven. They are so delicious! I tried to make the cheez-it’s, but the dough was still crumbly after the 2T of water. Even after putting it in the fridge. I wasn’t able to roll out the mixture. I had to make small sections and try it that way. Just wondering if that was normal or if I did someone wrong. I agree that rolling them out much flatter and cooking them longer would have given you better results. Also sprinkling the wet dough with coarse salt after cutting and placing on the cookie sheet would also add some extra salty zing to these. The dry mustard is a great suggestion. A few drops of tabasco sauce (not too many maybe 3) would also give it a bit more flavor. How about some turmeric as well? Less is more with all these spices folks. They are bit players to the cheese. If you do the same thing with aged swiss instead of the the cheddar you can approximate those delicious boxed crackers as well. Cut those into rectangles like the original Swiss Cheese Crackers. Different parts of the country are always wetter or drier than another. You had very dry flour and in that case you always need to moisten it up some more 1 tsp at a time until it rolls out without crumbling apart. I me these with a Romano/ cheddar blend and they were so yummy!!!! 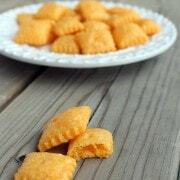 My daughters love Cheez Its and I will have to try these. I would also love to try a variation by using buffalo sauce. I’m a huge fan of anything buffalo and I bet they would taste awesome! My youngest would love the spice as well but I would have to make some regular for my oldest. Mine did not turn out orange at all! What did I do wrong? I used orange cheddar, did you use white cheddar? I must be honest, in my opinion the best coke comes from a soda fountain, although I can’t drink the diet or sugar free kinds because the sweetener bothers me. 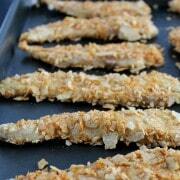 but these look amazing and definitely would be a guilt free addition to my son’s lunch or for a snack. he is two and is obsessed with crackers and chips of every kind, although i do limit him. he at least eats plenty of fruit and vegetables and i love that. I wonder if anyone has done a homemade doritos recipe?…. Just made these (some are in the oven as i type!!) and they are delicious! Even my 3 little boys are mowing them down! I actually subbed in whole wheat flour, probably about a cup minus 2 tablespoons, and sprinkled them with a little salt when the came out of the oven! First sheet pan is almost gone, good thing this recipe makes a lot!! Thank so much for sharing!! 1. I also loathe the z in CheeZ-Its. It’s a big pet peeve of mine, along with using K instead of C. I once lived near a restaurant called Korner Kitchen. Drove me out. of. my. mind. 2. These crackers are adorable! I would make them for that reason alone. 3. I love the depth of flavor that mustard adds to cheese. If- okay, when- I make these, I’ll definitely use the dry mustard. Hehe–I’m so glad I’m not the only one! I grew up eating these–my mom made them every Christmas. Here are some options for you to ponder. 1. Our recipe includes some red pepper for bite, and our basic recipe is simply equal amounts of butter, flour, and sharp cheddar cheese. 2. My mom cut the cookies into star shapes and put half a pecan on top of each one. 3. You can also make these by rolling the dough into a cylinder shape in a piece of waxed paper, chilling it in the fridge, and slicing the cookie dough very thin–this is much quicker and easier, but the cookies are definitely not as cute! 4. Another favorite variation when using the roll, chill, and slice method is–believe it or not–mixing in some rice crispies. The cereal provides a delightful crispy texture. Great ideas! Thanks for sharing! I love the rice crispie idea! I don’t have a food processor, so I used my blender. Make sure you put the cheese in last or the heat from the blade might melt it. That’s what happened to me, not a bad thing, just difficult to clean. They’re about to go in the oven. I can’t wait! I also used mozzarella because I didn’t have cheddar. I’ll let you know how they turn out. So this may seem strange, but I don’t own a food processor. :-) Do you think they’d turn out using a blender? 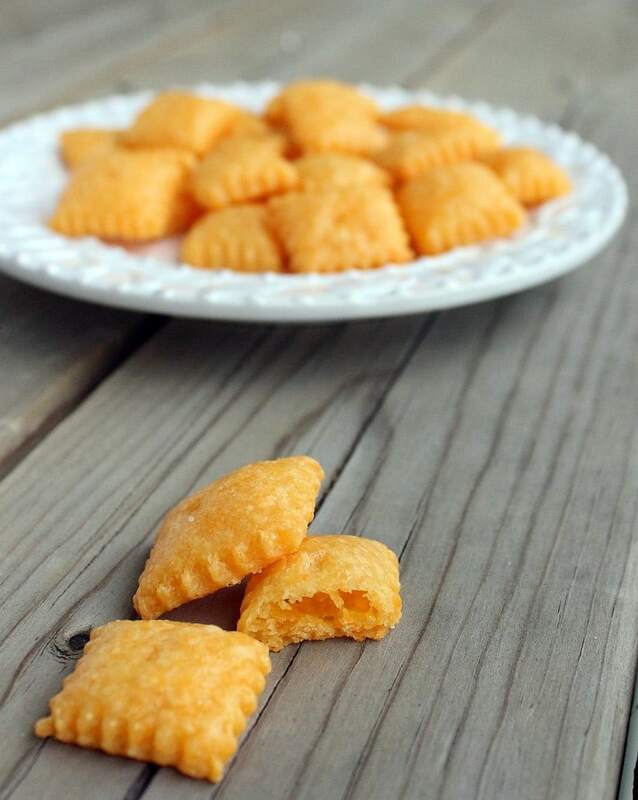 Can’t wait to try them out…my three boys are addicted to Cheez-its! Hmm…I’m not sure. They might jam up a blender. Depends on the quality of the blender. You’ll definitely just want to pulse it. Good luck! This is fantastic! I will be trying these soon! Thanks for posting the recipe. My hubby is very anxious to eat these as I just put these guys in the oven…but the dough was very crumbly. Is this true for when you made them? Not super crumbly. I was able to easily roll it out. Did they turn out? OK, I don’t even drink soda, but I’m almost tempted to go buy a Mexican coke to go with these. I am fixin to prepare them, but with gluten free flour and a greased cookie sheet (forgot parchment when I went for the cheese) – I’ll report back on the GF version. Thanks! How did the GF version go? What mix of flour did you use? Glad you still liked them! It’s all in how thin you roll them…mine were a tiny chewy too. Try substituting vegetable shortening for the butter. Butter has a lot of water per volume and that might be the problem with it being chewy. By the time the water is baked off, it hasn’t had time to crisp. Bakers use shortening for flaky and crispy pie shells and butter for tarts that are denser and chewy. I have a batch of the dough in the fridge right now. I used 2/3 aged cheddar and 1/3 smoked cheddar, and added a little cayenne and black pepper. Can’t wait to taste them. Thanks for sharing. I’m not familiar with “Cheese Its” but they sound like a popular American snack cracker. Glad I can make them at home. Sounds fantastic! Hope you love them! I just made these — actually have one more pan full in the oven. These aren’t going to last two days in my house. Delicious! Thanks! Glad you liked them! Thanks for taking the time to comment! I totally love this! I keep a jar of cheez-its or goldfish on the cabinet all the time for the boys to snack on. They would totally love them homemade. PS. You should get some sort of amazing mom award for teaching E sign language!! Amazing. I can’t wait to make these! They sound delicious! Must buy Diet Coke…. The best Coke comes from a can! Diet, regular, zero – they all taste so much better from a can! And Katrina’s homemade cheese-itz made all my friends envy me hahaha :)) they are addictive! Holy YUMMY Cheese-Its!! You MUST make these!! So simple and easy. I am going to try parmesan garlic ones tomorrow! With 4 boys in the house, I will be quadrupling this recipe!! Thank you so much for coming back to tell me this! Glad you liked them. Parm garlic sounds AMAZING! And 4 boys—bless your heart. I SO want those in my belly right now!! Brilliant and look how easy plus no processed crap to mess it all up! I don’t like diet coke but I’d happily wash bowl of these down with a cold dr. pepper! Like, Dara, I love a homemade version for these crackers!! I love that this homemade version is not packed with all the crap you see in the store-bought ones. As for the “z” in Cheez-Its – you are not alone! I’m so darn uptight about spelling and grammar that it drives me absolutely scatty. Wow, I love cheez-its!…these look great! So i didn’t have cheddar around, so i used the “Italian Blend” bagged cheese from kroger. I also included a handful of shredded parmesan and havarti… DELICIOUS! When i have cheddar handy i’ll try this again! Wow. I’m shocked. These look amazing. I will be trying these ASAP. Who would have ever thought you could just make these!? Looks awesome! I like to eat my Cheez-its with sliced pickles. Interesting combo, but I bet it is great! I’d never buy store bought again!! My daughter LOVES cheez-its – I need to bake up a batch of these!! Oh my goodness! These look amazing. I need! A country with no cheese crackers?!?! Hehe, it is a good thing you can make them. They are the best warm, aren’t they? Yeah, it’s sad. I live in Germany and whenever I go to another country, I look to see if they import Cheez-its or have any cheese crackers. And they never do! And it’s not even that I prefer them warm, it’s just that they’re so insanely good I can’t stop eating them until there are maybe 10 left and I have to hand those over to my husband and tell him to hide them. Homemade Cheez-its? Amazing. You have me craving them with a can of diet coke!!! Oh how I love that you made your own. All the same great cheesy flavor but with none of those nasty additives and preservatives. Uhhh YUM! I want to make these! But I bet mine would never be as cute as yours! Cheez-its & diet coke sound nice. Ever had scrambled eggs & Coke? Meant.to.be. Just to be clear, I mean coca-cola. Not coke, as in fry drugs on a spoon and smoke it. Ok, I’m over and out now, on that note. 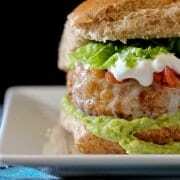 I saw these on Tastespotting! And I love them :) I am always game for making a store-bought favorite homemade. My husband usually makes fun of me…until he tries them! So fun! I’ve been meaning to try this recipe and now I know I need to do it ASAP. I will be making these the next time the auntlings visit. They love helping me cook and they also love cheese crackers. My best friend is a copy-editor and she can’t stand anything spelled like that. She won’t even check out the Kitchn website even though I told her it’s pretty awesome! Speaking of awesome, your Cheese-its look delicious! Wow, Rachel! I think this is one of the most adventurous recipes I’ve seen :-). I would never dream of making my own cheese crackers, but this method does not seem too scary, actually… Great pick, it’s an inspiration for me :-). These crackers are so easy! Give them a try! I’ll check out your site and and consider it, thank you. Such a fun recipe. My boys would go crazy for these. This is so incredible, Rachel! I love cheez-its and I would have absolutely no self control over these! 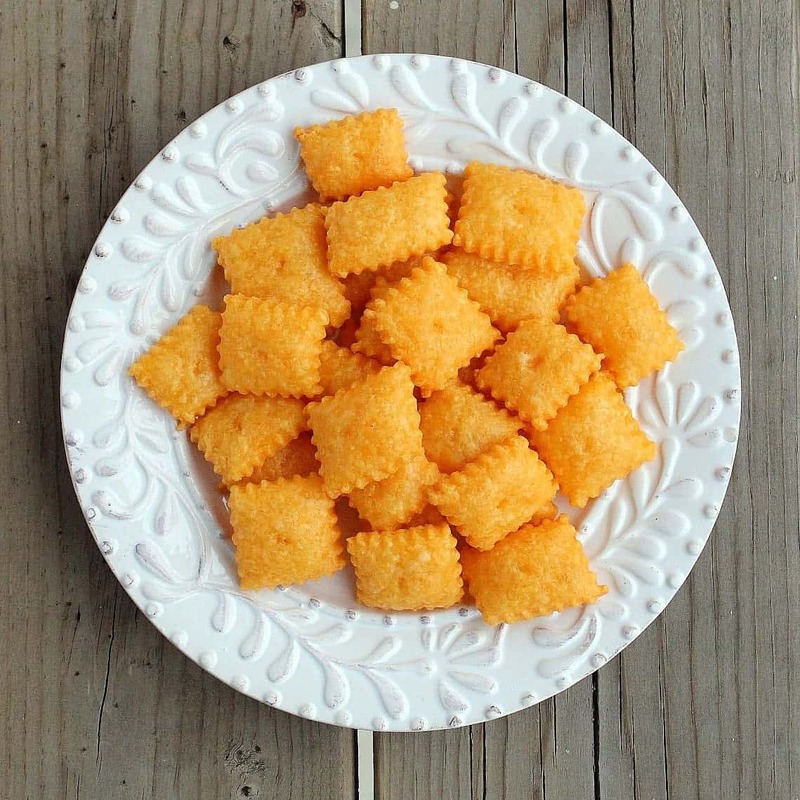 My brother was obsessed with Cheez-Its as a kid, but I always thought they were sort of icky. I’m still not a huge fan of the ones from the box, but I adore a homemade version and man, do these ever look good!! Perfect! And “Cheez-Its” with a “z” drives me crazy, too. So does “Kountry Korner” and “Koffee Kup Kafe” and “Kwik Kup”. So glad to know I’m not alone in my “affliction”! And…these are going on my “to make” list! My kids love…*THOSE* crackers, but I don’t like all the questionable ingredients. So, thank you for this terrific homemade version!! I love love love homemade versions of mass produced foods. These look so much better than cheez its could ever be! They look so wonderfully flaky and cheesy! I love the addition of mustard too. I’ve been meaning to experiment with homemade crackers for a while, and this recipe pretty much seals the deal. I must make these, stat! :) I especially love that they’re not full of artificial crap, which means I’ll feel way less guilty about eating those (and about drinking Diet Coke, for that matter). BTW, thanks for the wonderful lentil salad recipe. I had a really hard time choosing a recipe to make, because everything on your blog looks so good, but I’m glad I eventually went with that one… I just polished off the last of it for lunch today! I will make these, I’ve been experimenting with various crackers for some time using whole grains and following basically a receipe I got off line, and as I get more proficient in delicious homemade crackers I am experimenting starting with my multigrain flour and adding even more grains like oats, and fax seed and they are turning out so well I am constantly thinking about what else I can try with my original cracker receipe. I first made whole grain crackers and they were so good my next effort was to turn it into a thin chocolate wafer using coco and artificial sweetner and they turned out so well yesterday i said next I have to try cheese crackers and lo and behold the first receipe I see is for these cheez its so I’ll try that next. My original cracker receipe which i got off the internet that is great starts with 1 1/2 cups flour and I use a blend of grains once i tried the original way and they all work equally well. I let the dough rest or chill for about a half our so it rolls better, cut and prick crackers with fork and bake on a lightly g reased baking sheet. Bake at four hundred degrees from 5 to ten minutes mine because of the size took about eight minutes and they are delicious and chrisp and look pretty much like the snack crackers bought from the store. Hope you don’t mind my sharing. Later I used the same receipe and added 1/2 cup of artificial sweetner and 1/4 cup of cocoa more if you want it darker. Baked in the same way as the original crackers and i called these chocolate thins. Great for snacking either way. Love homemade crackers. I like how pillowy these look. I have to make these. Yours look light and airy. What a treat this would be. 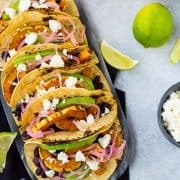 Girl I have had my eye on this recipe for ages..and there’s a few vegan versions floating around. I LOVE cheez-its. Way to make me salivate! I’m so impressed! These look like the real thing. Cheez-Its just happen to to be my favorite junk food. Must make these. What adorable crackers! I love the little scalloped edges. Great choice, Rachel! I have a super bad addiction to cheez its and I think it is about to get worst. Thanks for posting these…I’ve never seen a recipe for these. These have been on my t0-do list for a while. I know my daughter would love them!